Ring of Fire was introduced by Ralph Moore in 1986. 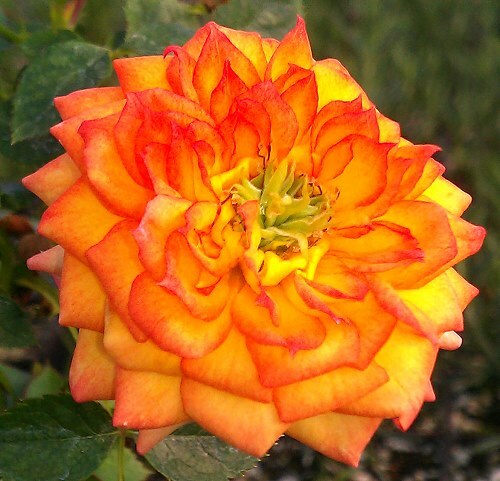 It is a fully double flower with glowing yellow petals edged in firey sunset orange. Ring of Fire blooms in flushes throughout the growing season. Each flower is about two inches across. Ring of Fire Miniature Rose has perfectly shaped buds that are ideal for drying or using in fresh crafts like our fresh Herbal Wreath. It would make an excellent addition to our Crafter's Herb Garden Six Pack.